Hi Guys, I am starting this post because when i had problems with my jailbroken iPhone 2G, i was unable to find the solution but somehow i managed to find the fix, so i'll be posting tips and fixes here so that other people who are facing these problems can get help. 1. Cycorder Record Button Not working. Recently I had this problem, The buttons in cycorder app were not working and tried alot to find the solution, i uninstalled it and installed it again but no luck and in the end i had no option but Restore. After Restoring my iphone the buttons on cycorder worked fine. To Fix Cycorder button, Restore your iPhone. 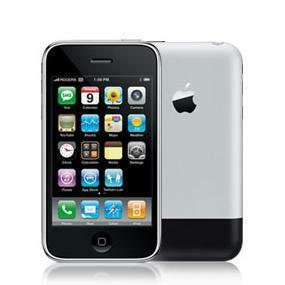 If your iPhone 2G has very low volume of speaker and you are having very hard time listening your call alerts, message alerts or while listening songs on iphone. Well I have a trick which works like charm, Take a pointed pin or something like that and poke holes in iphone 2g speaker (Bottom Left side is speaker) Don't do that on right side because that is microphone not speaker. There is a plastic film which protects speaker from dust, so take a pin and put it in holes of speaker and press slightly, do that on all holes of speaker. after poking holes in speaker, Play ringtone and see the difference. You'll see great change in sound. NOTE: This will only work if your iPhone is alright. It won't work if your speaker is broken or if your have water damage. 3. How to know if your iPhone has Water Damage. 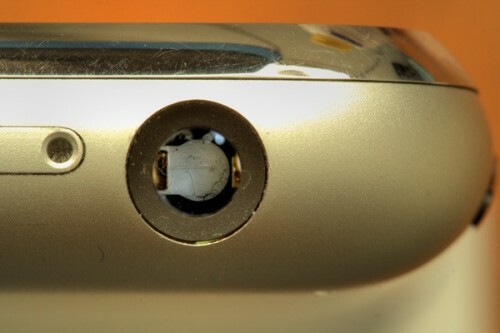 This is helpful if you are buying a Used iPhone or iPod Touch, Just take a look inside your iphone's Headphone jack, use an LED Light or see under sunlight. What do you see??? iPhone with No water Damage. If you see that the water sensor inside Headphone jack is Red or Pink in color. Then it means your iphone has water damage. if water sensor are White then your iphone does not have water damage. There is also a Water sensor under the Dock connector. For more information on iPhone Water Damage, visit Apple website. There is a special page about Water Damage.